When it comes time to buy a home, there are a lot of factors you need to consider, like how many bedrooms you need, the style of house you want, and your price range. One of the most important factors, however, is location. 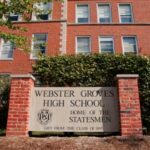 The St. Louis metro area has dozens of different neighborhoods to choose from, and Webster Groves is one of the more popular ones. Before you start searching for homes for sale in Webster Groves, though, it’s important to do your research to be sure it’s the neighborhood for you. Webster Groves is located within St. Louis County, and the average price of homes for sale in the 63119 zip code is about $270,000 according to real estate website Zillow. Webster Groves is also one of the most sought-after neighborhoods in the area, having been named one of the safest areas in St. Louis, one of the best neighborhoods for families, and one of the 100 best places to live in the country, according to Live by Money magazine. When searching for houses for sale in Webster Groves, MO, one of the most important things to remember is to find the right real estate agent. Not all Webster Groves real estate agents are equally qualified, and picking the wrong one can cost you thousands of dollars—or your dream home. Be sure to choose a real estate agent who is familiar with the neighborhood, since they’re more likely to get you a better deal if they are familiar with the local housing market. Once you’ve decided that Webster Groves is the neighborhood for you and you’ve found the right real estate agent, it’s time to start searching for your dream home!